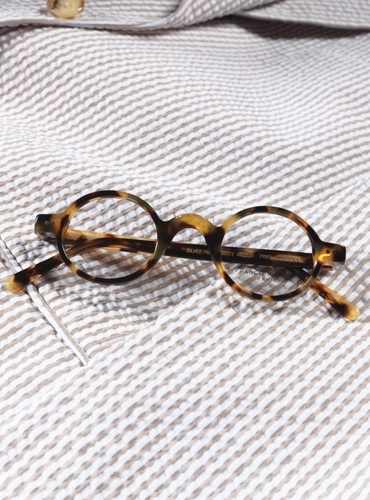 We found these wonderful classic small 40 mm round frames, with extended tips and a delicate 24 mm arched saddle shaped bridge, in François Pinton's archival collection. 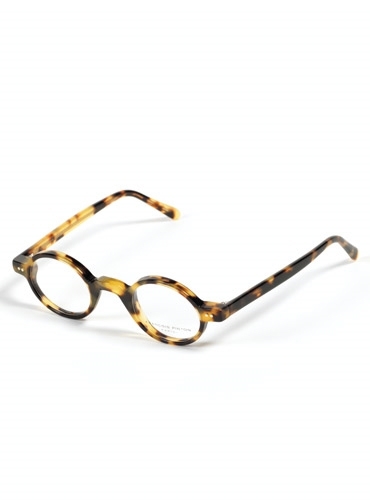 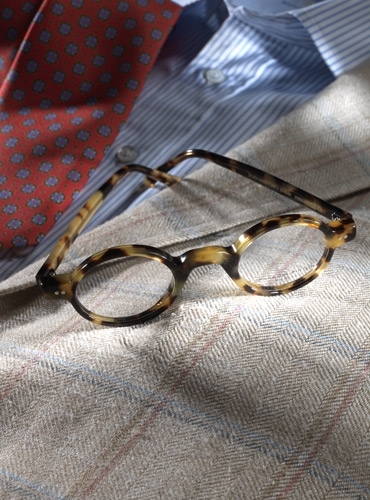 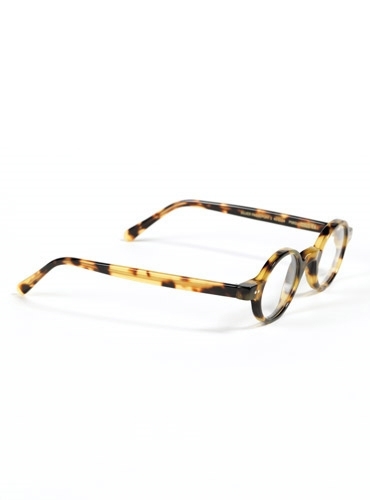 Shown in light tortoise. 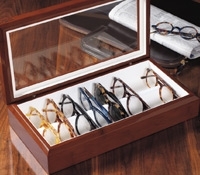 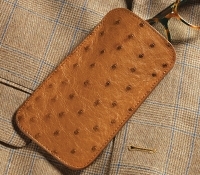 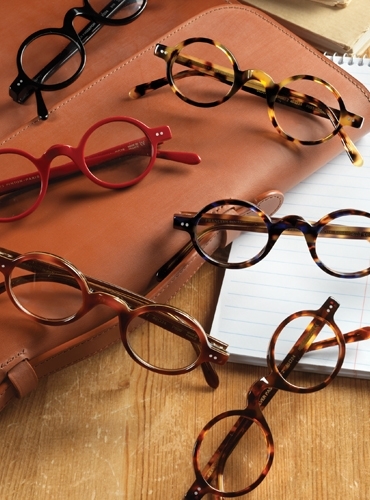 Also available: AT-brown; BT-blue tortoise; R-red; T-tortoise.